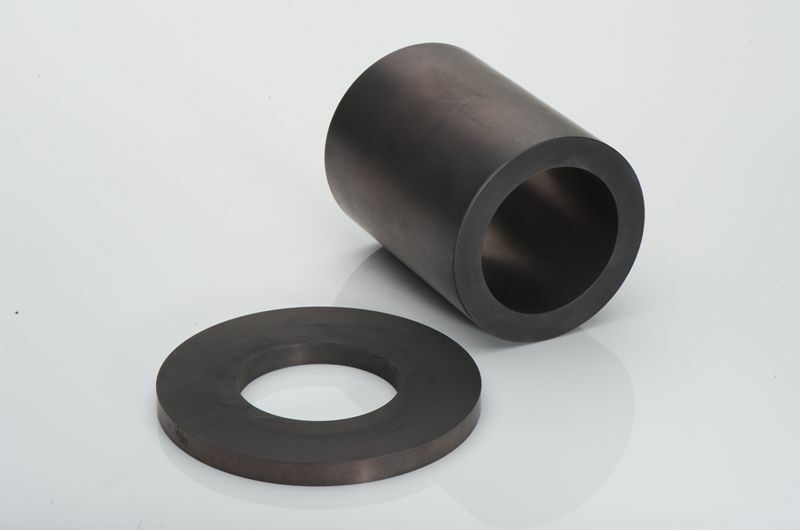 Carbon/graphite bearings and thrust washers are used in high-temperature applications because oil/grease lubrication begins to volatilize or carbonize above approximately 350ºF (177ºC). When this occurs, metallic bearings start to experience high friction, high wear, galling, vibration and even seizing. Plastic and composite bearings are subject to softening, melting, and deformation, and may even extrude out of the bearing area altogether. Carbon/graphite bearings are ideally suited for applications at both low and elevated temperatures because they rely on the self-lubricating properties of graphite. 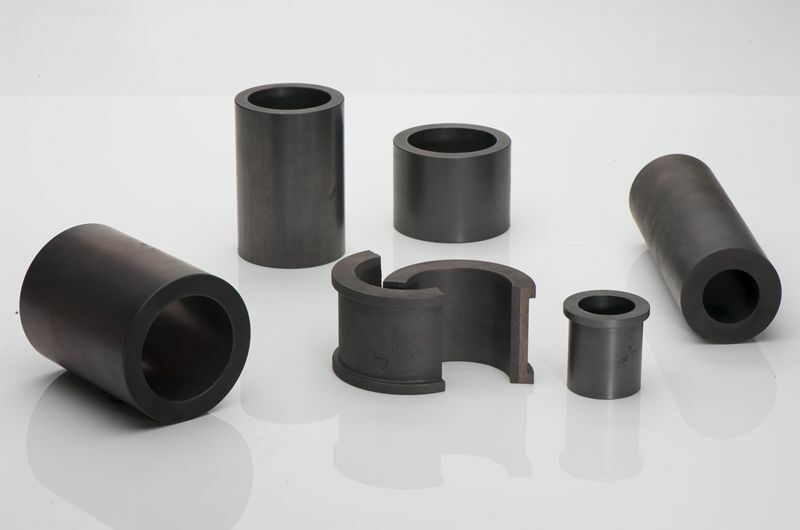 Thus, bearings manufactured from these carbon/graphite materials are not subject to the shortcomings associated with petroleum-based lubricants or the deformation of plastic and composite bearings at low and elevated temperatures. Metcar bearings for running dry can be provided to your print or approved dimensions and tolerances. 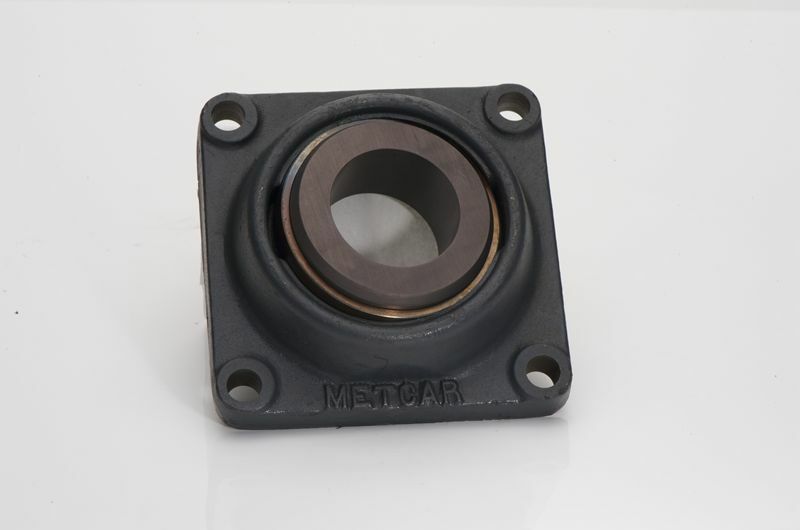 Metcar bearings are also available shrink-fitted into metal housings or metal retaining rings.